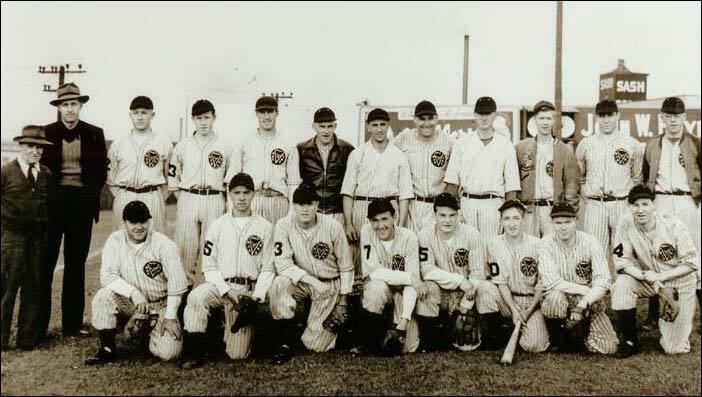 The Vancouver Norvans were a semi-pro team of the war years sponsored by the North Vancouver shipyards. Richy Eisler is in the front row, 4th from the left (#7). Former Regina Red Sox teammate, Ken Charlton is in the back row, 5th from the left. Roy Dean is 3rd from the left, back row.